Having an underbite can make you feel a bit self conscious around others. You might feel embarrassed to laugh, talk, or simply be around others. Well if you have an underbite and are ready for a change, you can opt for braces to fix your underbite. 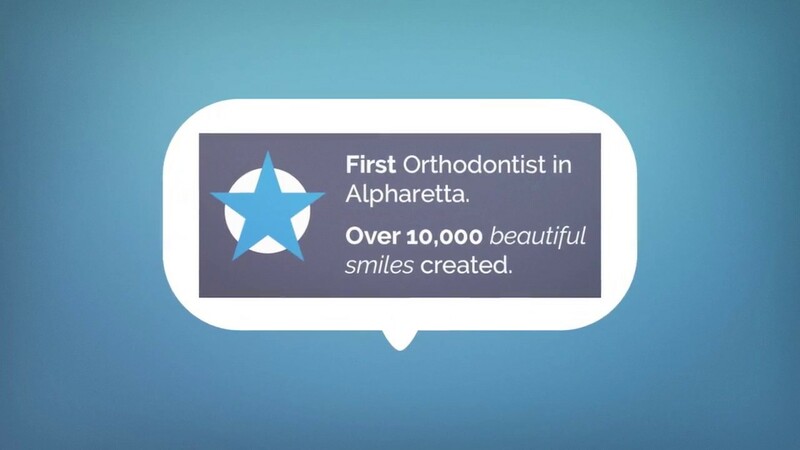 And for more good news...if you live in or near Alpharetta, GA, you'll be happy to know that Dr. Jordan has a lot of experience with treating an underbite with braces. All it takes to get started is to call for your consultation appointment. In the meantime, we invite you to read this article. We'll be explaining underbites, ways to treat/fix an underbite, and different braces that can fix an underbite. What is an underbite? How do you know if you have an underbite? You will know if you have an underbite if your lower teeth are in front of the top teeth when you bite down (as opposed to a natural bite when the upper teeth are in front of the bottom teeth). When a person has an underbite, the lower teeth and typically the lower jaw will look more pronounced since the lower jaw extends forward. Underbites, which are more rare than overbites, can either be mild or more pronounced/severe. If you have a mild underbite, others might not even notice your underbite. A severe underbite is typically more noticeable. Regardless of whether you have a mild or a severe underbite, Dr. Jordan can help you. Why fix an underbite? What can happen if you don't fix an underbite? Just so you know, surgery isn't the only option to treat an underbite. You have other options...one of these options is braces. Something very important to note-- if your child has an underbite, it is best to get treatment while he or she is still young. You see, your child's jaw is still forming throughout the childhood years, which means we can possibly reshape it using different techniques. This becomes harder (and sometimes impossible) to do so when an adult wants to fix his or her underbite. Therefore, if you are an adult who wants to fix your underbite, get a consultation to see if braces or surgery could fix the issue. Underbite headgear called reverse pull headgear - This type of "face mask" may be used as part of your treatment plan to fix the underbite. It is customized and designed to fix the discrepancy between the upper and lower jaws by moving the upper jaw forward in order to fix the malocclusion. Patient compliance is critical, though, since the patient has to wear the headgear for approximately 10-14 hours per day (which can include the hours when you sleep). Upper jaw expander called rapid palatal expander - Sometimes a rapid palatal expander may be needed as part of your treatment plan to correct an underbite. The orthodontic appliance is attached to the upper molars and is used to create a wider space in the upper jaw. If the upper jaw is too narrow for the lower jaw or if the upper teeth are crowded or blocked out of the dental arch, then a rapid palatal expander may be used. While this appliance may not necessarily fix an underbite, it may be needed in your treatment plan to fix your bite. Dr. Jordan has several years of experience with fixing underbites using these two orthodontic appliances. We also offer metal braces, ceramic braces, and clear aligners to straighten crooked teeth and to fix other orthodontic-related issues. Ready to fix your underbite? If you are ready to fix your underbite or your child's underbite, and if you live in or near the Alpharetta, GA area, call us today. Just let us know that you or your child has an underbite and you'd like to meet with Dr. Jordan to discuss treatment options. All of our office contact information can be found on the following page: http://www.jwjordan.com/contact-us/.